Comparing different health insurance plans offered by multiple insurers can be a very confusing affair. Instead of subjective factors, rely on objective numbers and figures when finalising your choice. Make sure you analyse these eight figures very carefully before buying the policy. Cashless claims for emergency admission done without advance intimation to the TPA. Easier completion of formalities; simply submitting proof of your insurance policy may suffice. Incurred claim ratio is the proportion of claims paid out as against the total premium received by the company. For example, approved claims of Rs. 85 crores to premiums received of Rs. 100 crores indicate an ICR of 85%. This data can be found in the Annual Report released every year by IRDA. A very high ICR may raise doubts about the insurer’s profitability and presence in the market. Ideally, you should choose an insurer with moderate ICR, which means you can continue with the same insurer year after year without worrying about rejection of claims. 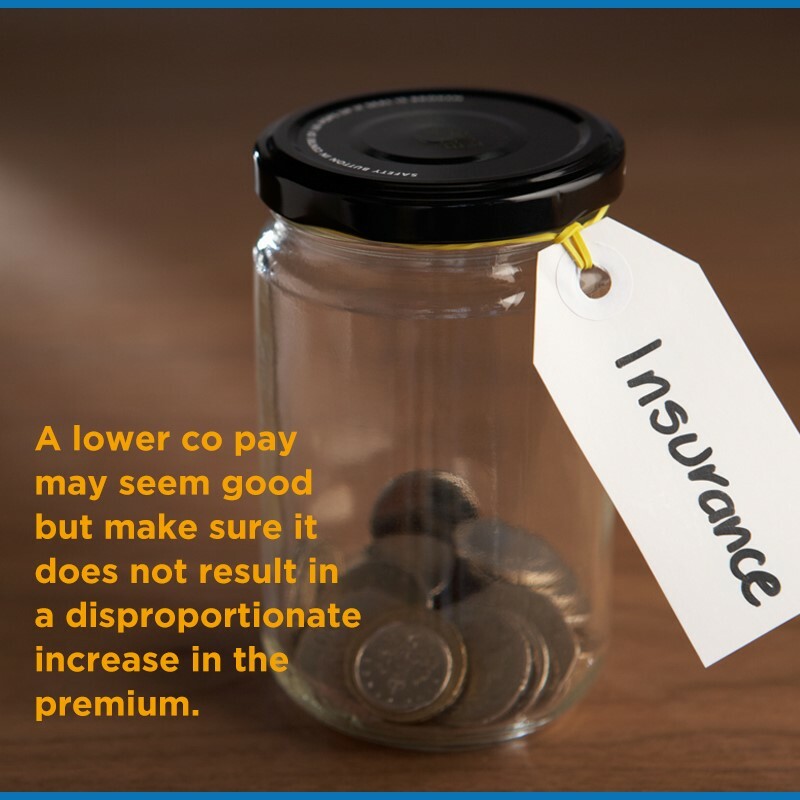 Considering the high cost of health care today, a high ICR means the insurer retains a relatively low amount towards profit and utilises the bulk of the premiums received towards settlement of claims. By themselves, the CSR and ICR may not indicate much. 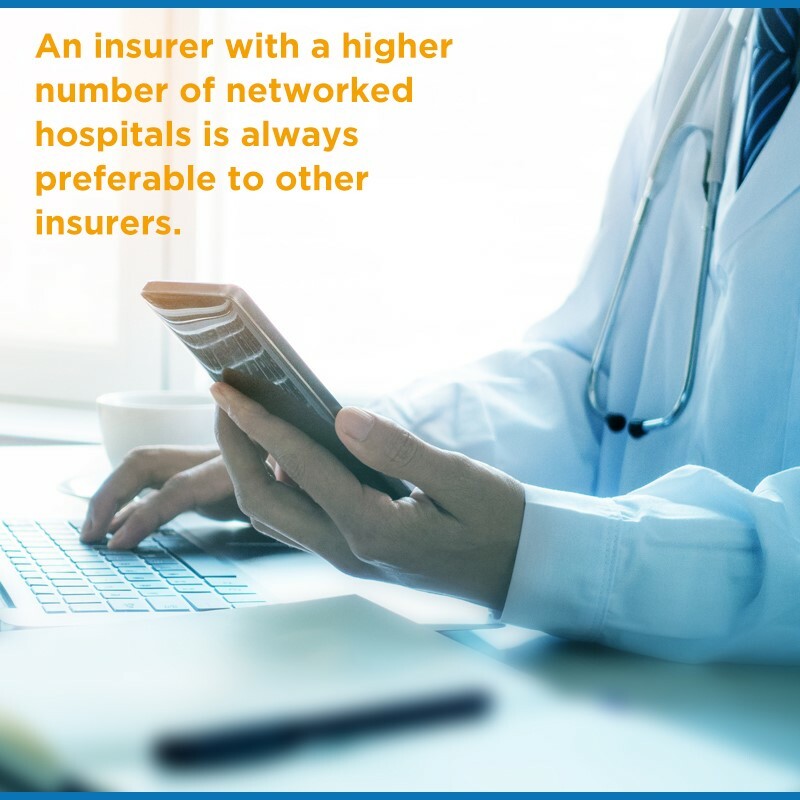 However, they can help you identify the best choice among two insurance companies offering similar benefits and facilities. 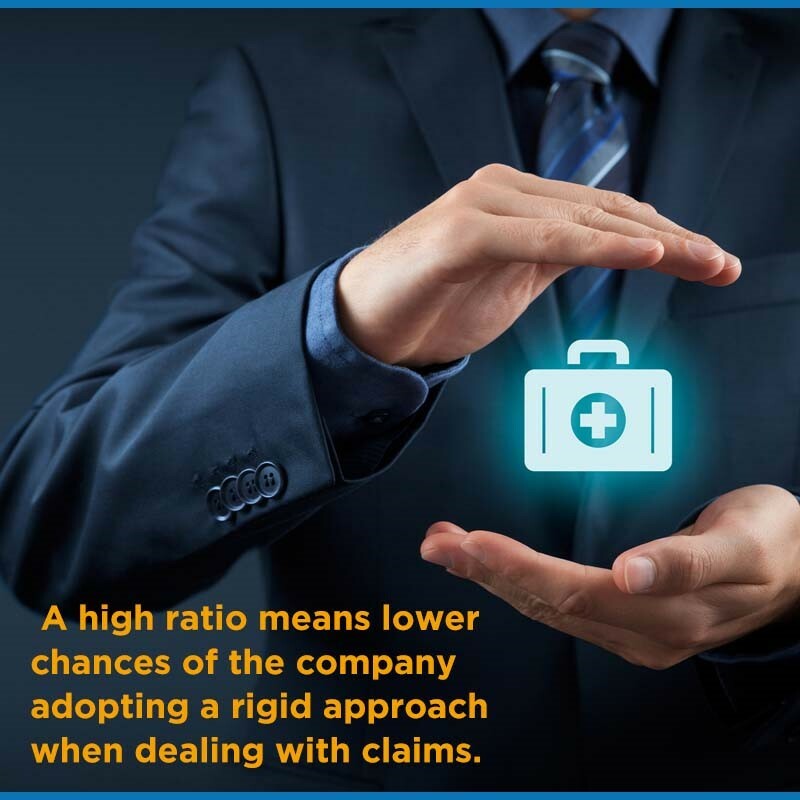 The claim settlement ratio is the proportion of claims approved or settled as against the total claims received by the health insurance company. Approving claims worth Rs. 90 crores out of total claims received of Rs. 100 crores indicate a Claim Settlement Ratio of 90%. It also indicates a more robust claim settlement process with established procedures as compared to a health insurance company with a very low ratio. Certain benefits like maternity benefits along with cover for pre-existing conditions come into force only after a specific waiting period. A shorter waiting period is always preferable, even if it involves a higher premium. Health insurance plans have an initial waiting period of 30-90 days where claims are accepted only in case of hospitalisation due to accidents. Then, there are disease-specific waiting periods where cover for certain diseases will get activated only after a specific time. Further, there may be a longer waiting period for pre-existing ailments. To know more, read Pre-Existing Medical Conditions. In case of critical illness plans, insurers impose the requirement of survival to differentiate the plan from a life insurance policy. The claim will be approved only if the individual survives for a specific period after the operation or treatment. Like in the case of waiting period, a policy with a short survival period requirement is preferable. Policies have a sub limit for the room rent. So, a 1% room rent sub limit on a Rs. 1 lakh policy means the policy will cover room rent up to Rs. 1000 only per day. If you opt for a room of Rs. 3000 per day, then the policy will reimburse just 1/3rd of not just the room rent but all covered expenses like nursing expenses, tests, specialist fees, surgery charges etc. All limits are calculated based on proportion of the coverage amount to the room rent. In case of a Rs. 3000 room, the policy will cover 1/3rd of not just the room rent but of all other covered expenses as well. Individual health insurance plans don’t cover pre-existing conditions without a mandatory waiting period. However, the number of pre-existing conditions may vary. A plan covering higher number of conditions is a better choice, especially if you are buying a single plan for the entire family. 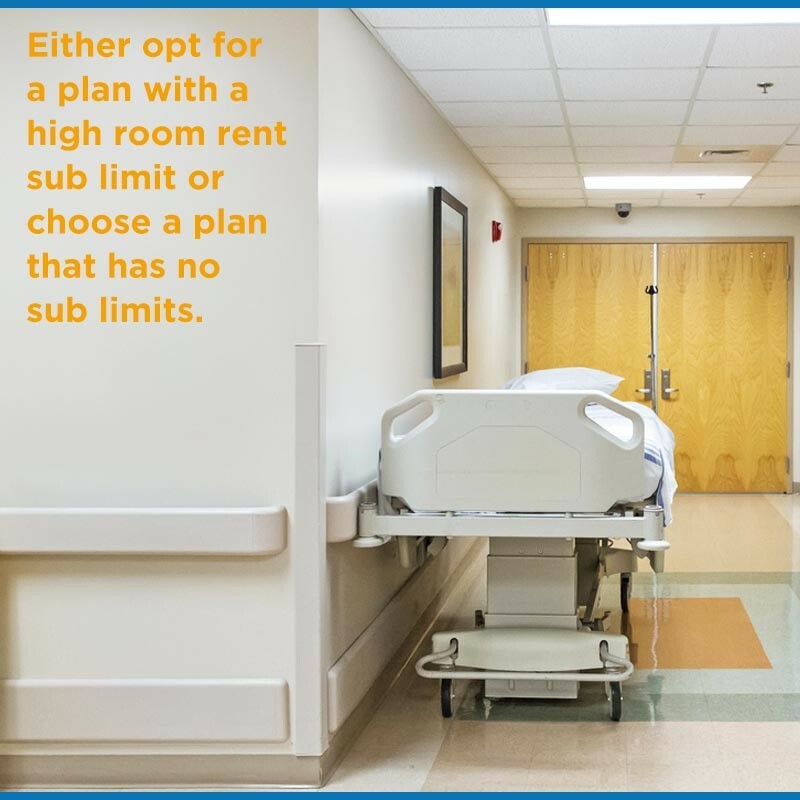 Similarly, buy plans that come with a rider covering a large number of critical illnesses over other plans. Enhancing the value of coverage by paying more for the rider may be cheaper as compared to buying a specialized plan for critical illnesses alone. This refers to the policy holder’s share of the total cost of treatment. A 20% co pay means that the policy will pay Rs. 80 out of the total cost of treatment of Rs. 100. The balance Rs. 20 will have to be paid by the policy holder. The numbers may not tell the entire story but it certainly will help you identify the best 2-3 policies that offer best value for money. You can then finalize the plan that seems to be the best option to secure your health and the health of your family.